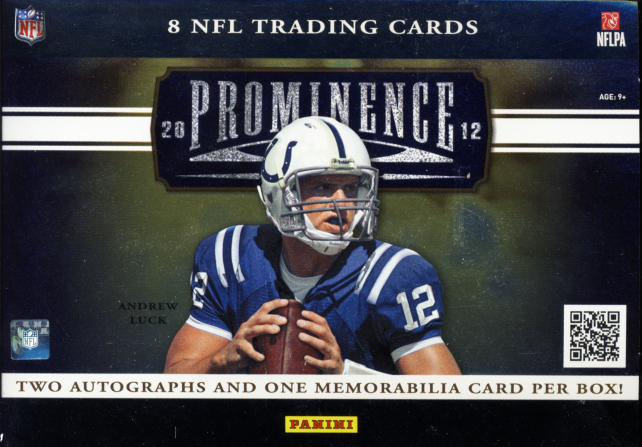 Once again, Panini has dipped into its previous assets to put a modern spin on an old favorite. 2012 Panini Momentum Football is an all Base/Hit release that is ideal for hit collectors, prospectors and premium set builders. 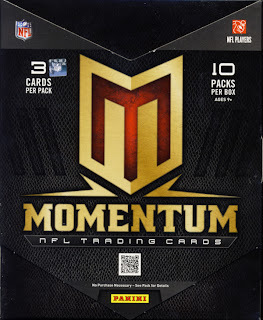 From looking at case breaks in addition to the box I broke, it appears Momentum is autograph heavy, a trend that seems happening at Panini, which further indicates they are listening to collectors. Before I review a box of cards I like to sit with it. I record my first impressions upon opening it and then wait a bit. I later revisit the cards with new eyes. Most of the time I see minor things that support my first impression. Other times my mind is changed. 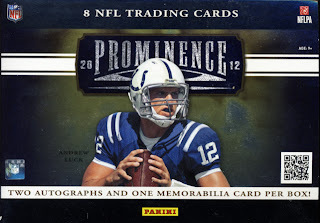 With 2012 Panini Prominence Football I find myself going back and forth. It probably stems from my personal preference to have a release that carries a consistent theme all the way through. After all, there are quite a few releases to choose from each year. The more consistent and individual the release is the better. 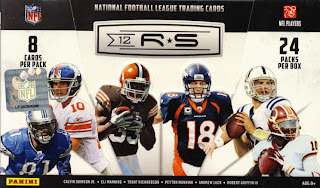 Perennial favorite, Panini Rookies & Stars Football, returns for 2012. The base cards have been revamped, but it still remains one of the better values for you collecting dollar. While the hits are more about the rookies, the stars are well represented too. 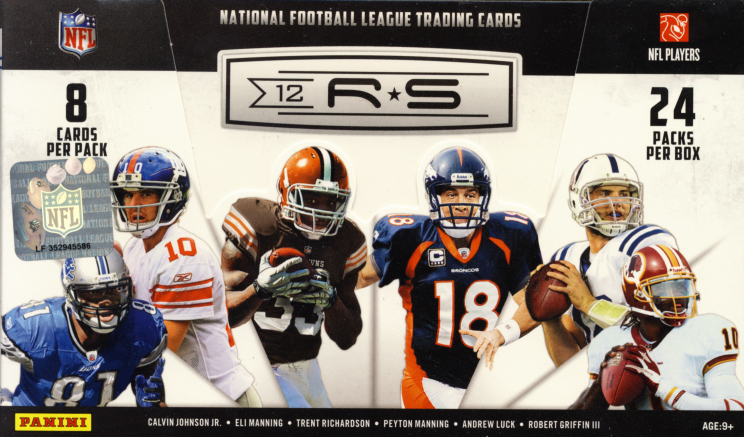 We classify R&S as trading cards. You can find the cards at retail outlets and your local card shop. Hobby Boxes come with 24 – 8 card packs with 4 Autograph and/or memorabilia cards per box. Now here are some of the cards we pulled.